This playful pattern reminds me of happy childhood memories. We all have plenty of memories that’ll put a smile on our faces when talking about the outdoors and experience and fun of fishing. Let’s remember how is to be a child and smile at the memories! 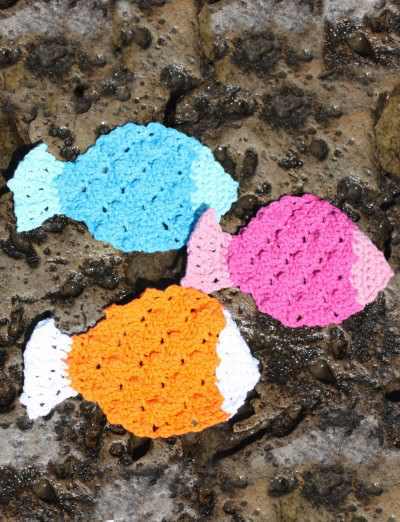 This Tropical Fish Dishcloth by Lily / Sugar’n Cream is so beautiful and fun to make and it will make the kitchen everyone’s favorite room in the house.What a beautiful pattern to bring colors and smiles to someone’s kitchen and what a beautiful gift for kids and adults alike! 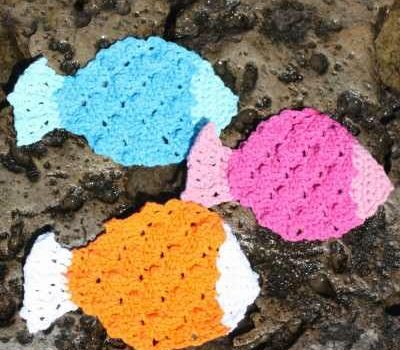 Note: 1 ball each of MC and A will make 4 dishcloths.